The long-awaited sequel to multi award-winning thriller classic The Silence of the Lambs, Ridley Scott's Hannibal wasn't received with the same level of fanfare or acclaim. 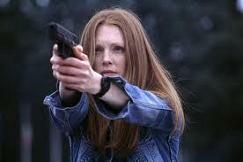 Although the ever brilliant Anthony Hopkins made a welcome return to his signature role as refined serial killer Hannibal Lecter, the film was criticised for keeping Lecter and the character of Clarice Starling (this time played by Julianne Moore) apart for a large chunk of the narrative. 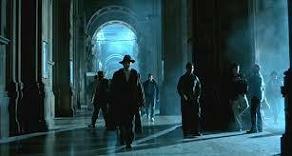 In spite of these flaws (which in truth largely stem from Thomas Harris' source novel), it's a ravishingly filmed affair, with the early sections of Lecter in Florence conjuring up a wonderfully seductive atmosphere. It's a very different film from Silence, almost approaching surrealist black comedy in its controversial gruesome sequences. Hopkins and Moore are typically excellent – and then of course there's the cavernous, intoxicating score from Hans Zimmer, his fourth for director Scott. Zimmer has been in the press a lot recently promoting his blockbuster efforts on the likes of Man of Steel and The Lone Ranger. He's also been named as the man to take over James Horner's mantle on The Amazing Spider-Man 2. But although Zimmer gains more attention for those noisy, blusterous scores, he in fact possesses a wonderful knack for scoring films that walk on the dark side. Hannibal is a case in point. It's a score that showcases Zimmer's more creative side and which in many ways anticipates his brooding work on The Ring. Just as Ridley Scott's visual aesthetic is poles apart from Jonathan Demme's on Silence, so too is Zimmer's music far removed from Howard Shore's claustrophobic, oppressive work on the earlier film. It's dark to be sure. But it possesses a compelling sense of Gothic beauty, the sort of music that befits the rich history, piazzas and olde world atmosphere of Lecter's favourite city, Florence. The soundscape that Zimmer conjures up is truly compelling – delectable, Lecter might say. As with many of Zimmer's works, the always contentious issue of how much was composed by him or his Remote Control associates again rears his head – although in this instance, the mood of the score is largely characteristic of Zimmer's own oeuvre. The vast majority of the score is composed of lengthy suites that serve to draw the listener in, rather than frighten. "Dear Clarice" emerges from a wash of buzzing strings (anticipating the Joker's music in The Dark Knight) to eventually mix a low female choir with sounds of footsteps and eerie breathing effects. It's more textural than thematic but is perfect for setting the tone. 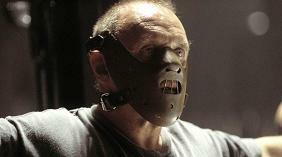 Hopkins' dulcet tones then intervene, as Lecter reads a letter to Clarice – it's a device that could prove intrusive but it complements Zimmer's music perfectly. A little piano motif emerges towards the end of the track, which comes to act as the principal idea for Lecter himself. When mixed with the dark strings (often playing towards the lowest ends of their registers), it's exquisite – threatening yet romantic and melancholy at the same time. This then leads into the opening credits arrangement of J. S. Bach's "Goldberg Variations" – heard in Silence prior to Lecter's horrific prison escape. "The Capponi Library", with its strumming mandolin and synth effects, is one of three tracks that plays around with ambient sound design, the others being "For a Small Stipend" and "Firenze di Notte" (although the latter eventually moves into some exquisitely beautiful string writing). "Gourmet Valse Tartare" (credited to Klaus Badelt) is where Zimmer's mischievous sense of humour and penchant for black comedy come to the fore, as the composer presents a deeply twisted variation on Strauss' classic "Blue Danube" waltz. It's a device used to capture the monstrous decadence of the disfigured Mason Verger character (played by Gary Oldman) – a former victim of Lecter's who plans to feed him to man-eating pigs. The track in fact carries overtones of Jerry Goldsmith's masterful work on The Boys From Brazil. The latter half of the track is where the score comes closest to conventional thriller music, with a dark motif rolling around in the brass section of the orchestra before it builds to a truly chilling climax (the "Blue Danube" is mixed in there as well). Emerging from that is a truly beautiful 40 second passage for ethereal choir and strings. A quasi-love theme for Lecter and Clarice, it again reinforces the score's ephemeral, shifting sense of mood and tone. "Avarice" begins with what is presumably a deliberate reference to Goblin's score from Dario Argento's classic horror Suspiria. From there, Zimmer develops some terrifically dark and compelling work for the string section (again with the little opening piano motif) that perfectly conjures up the image of Lecter prowling the night-time Florence streets. "Virtue" continues the rich vein of Gothic romance with some truly sumptuous writing for strings and distant choir. It might sound strange but it's truly gorgeous music for such a twisted and gory film. 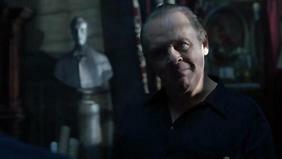 Clanging bells and choir feature prominently in "Let My Home Be My Gallows", which reintroduces Lecter's voice atop the churning, brooding orchestrations. 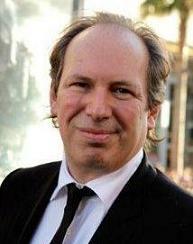 The track's delicate opening combination of strings, piano and choir is among the best music Zimmer has written in his career. The finale to the score, "The Burning Heart" and "To Every Captive Soul", elevates the material for Lecter and Clarice into stunningly rapturous heights, the likes of which have all too infrequently been heard throughout Zimmer's career. The former has another sliver of Lecter narration and is surprisingly moving. But not as much as the latter, which expertly moves through several variations across a lengthy nine minutes to bring a heart-rendingly lovely end to the score. You could be forgiven for thinking it was a score for a tragic drama, rather than one about a cannibalistic serial killer! The album then concludes with the lushly beautiful opera piece, "Vide Cor Meum", composed specifically for the film by Patrick Cassidy. With Hannibal, Scott and Zimmer's intentions are clear. They've zeroed in on the tortured relationship between Hannibal and Clarice, and exposed the dark romantic heart of this twisted union. The music is more in-keeping with Hannibal's refined side, and is possessed of an expansive, grandiose quality that is very different from Howard Shore's Silence of the Lambs, which was all about scoring the caged, cannibalistic animal. It's a score that flies in the face of expectations, enveloping the listener in a sense of dark beauty when one would expect it to perhaps be more primal and scary. It's also a score that expertly demonstrates Zimmer's capacity for creativity. In truth, the score is much more interesting and entertaining than Zimmer's louder efforts – the soundscape is more appealing and inviting, the themes more memorable, the music a more effective complement to the visual imagery. It's unquestionably Zimmer's finest score for a Ridley Scott film outside of Thelma and Louise. The score also contains within it the DNA of many future Zimmer efforts – The Ring, The Dark Knight, and Angels and Demons, to name but three. 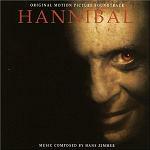 A tremendous work, Hannibal is inarguably one of the best scores of Zimmer's career. The album is available in CD format or for download at Amazon.co.uk and Amazon.com.